There is a new challenge for the month over on the Butterfly Blog and they are asking for 'Layers and/or Cream'. 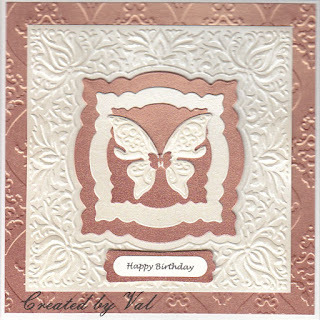 It so happened that I was playing around with ideas this morning for using some cream pearl and coppery pearl card with embossing folders so when I spotted this theme I immediately decided that I'd add a butterfly into the mix. I used two different embossing folders one of which was a magazine freebie and also some dies which happen to match the shape in the centre. 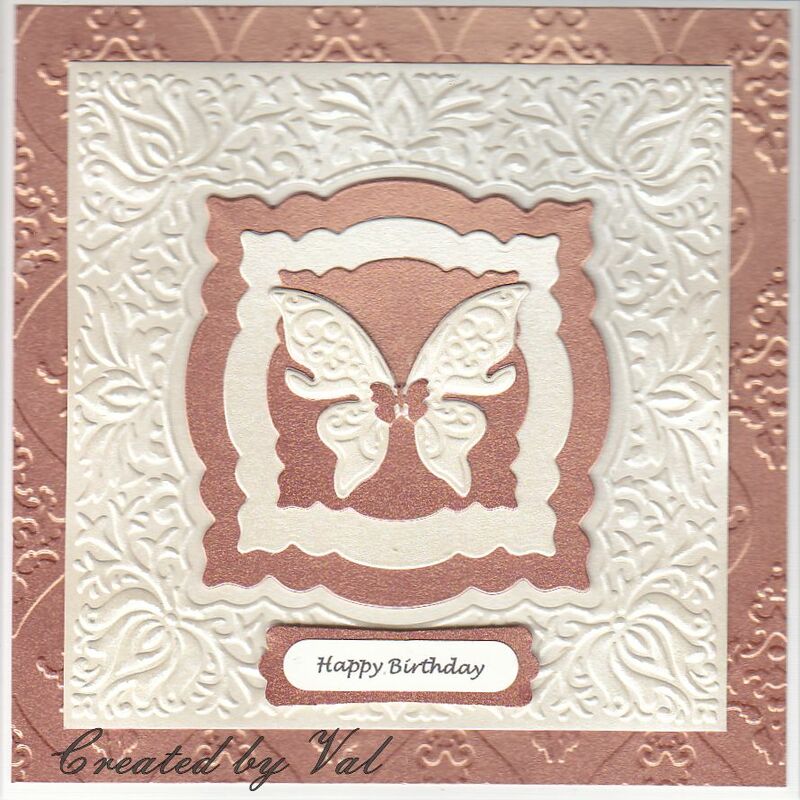 I just needed to die cut and emboss a butterfly, add a sentiment and that's it - seven layers! Do pop over to take a look at the ideas for butterflies and layers - some lovely inspiration as always. Wow, Those embossing folders were just meant for each other. The colours are quite striking. Very elegant. Thankyou for being first into the butterfly garden for this challenge. Hugs Mrs A.
Lovely card, so elegant with these colours and the fab embossed layers! Pretty card Val, love that copper pearl card! Snippets Turned into More Snippets!